The Euro T-square fence is designed to work on sliding table saws equipped with a Biesemeyer angle iron and tubing guide rail. Anyone who has one of these versatile Euro style table saws can now enjoy the power and flexibility of a Biesemeyer-style guide rail system. 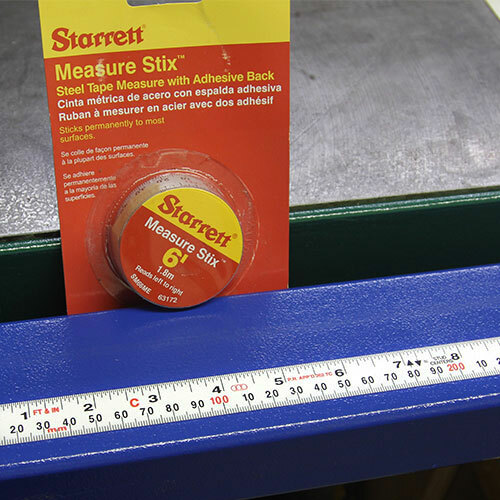 Whether you have access to metric or SAE steel, you can easily make and attach your own guide rails and use the VerySuperCool Euro-Adjustable t-square to take advantage of the world’s most popular table saw guide rail system. IMPORTANT! You will need an aluminum extrusion to attach to your T-square. We sell our proprietary machined extrusions in two sizes: 42″ or 48″ machined aluminum extrusions. 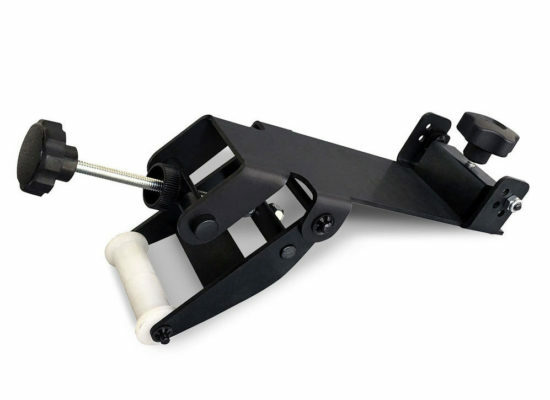 You will also need some extra tnuts and bolts for attaching jigs, stops and various fixtures. 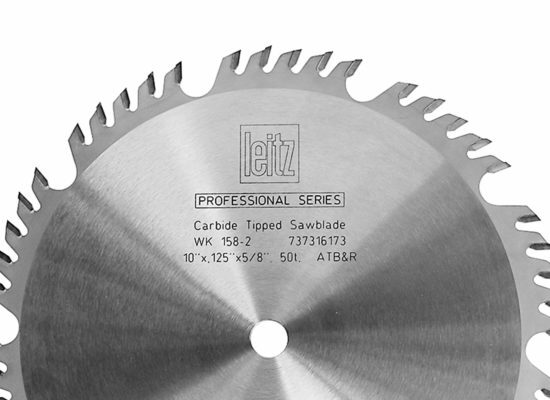 European table saws are different in design. 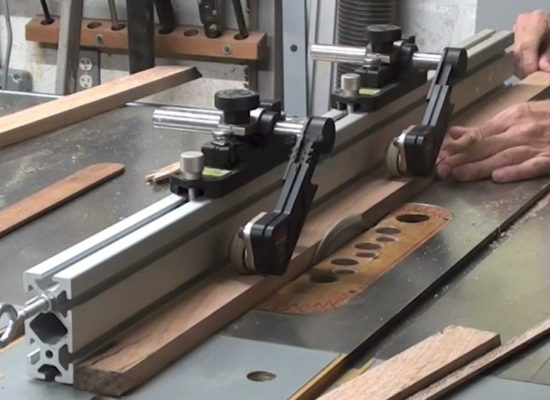 The blade placement is often at the edge of the table which requires a different style of table saw fence to accommodate. 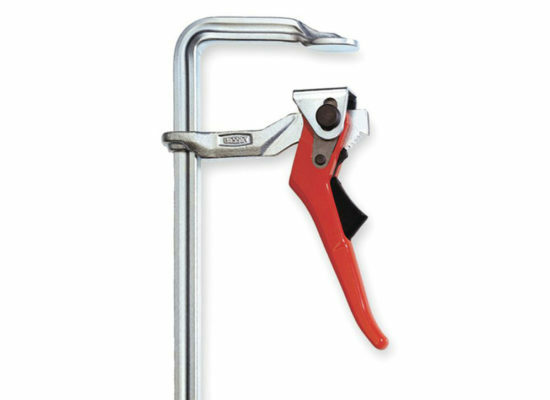 This T-square has the adjustable throat feature to accommodate various guide rail tubing sizes. In addition, it has a mounting bar placed at the left end of the T-Square for fence extrusion attachment. WILL I NEED TO BUY ANYTHING ELSE? Every T-Square that ships includes 1 UHMW bearing glide with t-nut and bolt to attach to an aluminum extrusion as a fence. So even if you buy your extrusion elsewhere you’ll have everything you need for your new fence setup. We DO recommend you purchase extra t-nuts since they are sometimes hard to find. It’s not necessary to purchase an extra custom extrusion glide unless you plan on having multiple/interchangeable aluminum extrusion fences. 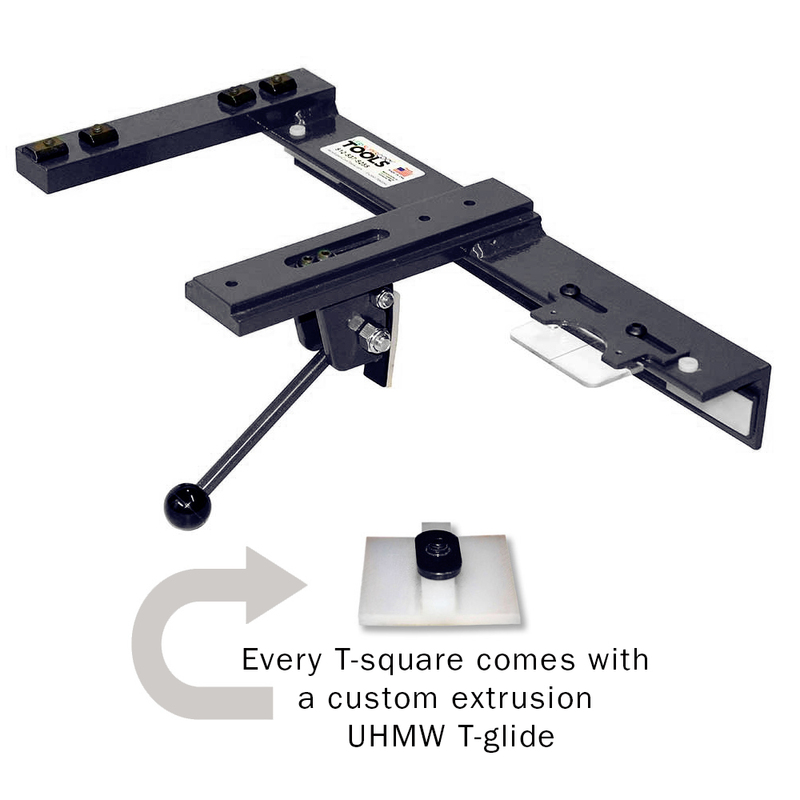 The UHMW plastic glide included with your purchase will last a lifetime. 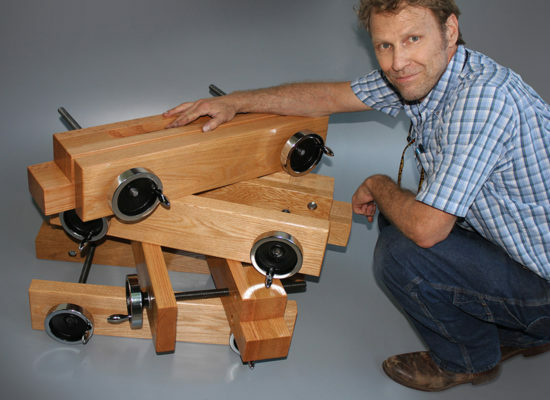 THE POWER IS IN THE TNUTS: One of the advantages of having an aluminum extrusion fence is being able to attach jigs, stops, clamps and what ever you can dream up to make your woodworking project more efficient and more fun! We recommend that you to purchase some t-nuts in order to enjoy the full value of your new VerySuperCool Fence System. 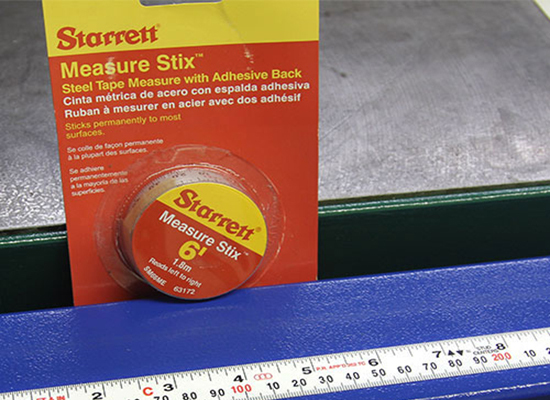 They aren’t expensive, but they aren’t commonly available in most hardware stores. 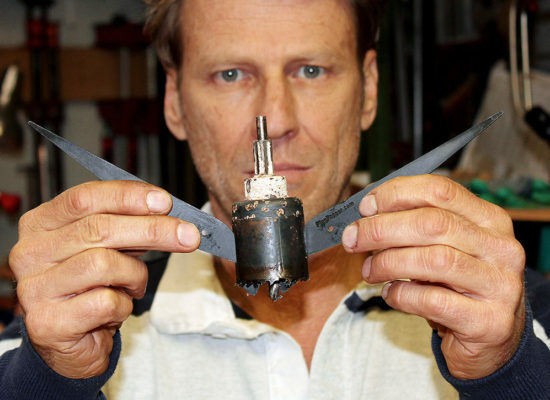 FYI: We can’t find them at Home Depot or even the popular online industrial supplier Grainger. DETACHABLE T-SQUARE DESIGN: Another great feature of this fence system is that you can easily attach and detach aluminum extrusion fences. Some customer have several extrusion to give them more options in their shop. There are 100’s of varieties of extrusions available, on and offline. Our 42″ machined aluminum extrusion is especially great for a contractor’s saw, but works fantastic with any table saw. 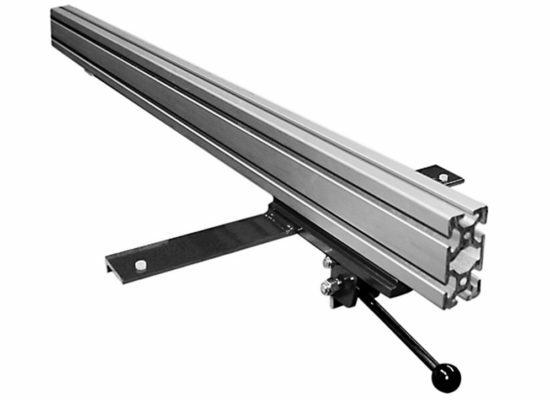 The 48″ machined aluminum extrusion is great for larger saws, and for those that feed large plywood sheets and can benefit from extra length at the feed end of the table. They both function the same, some just prefer the extra 3 inches at either end which allows more room for stops, jigs and various attachments. 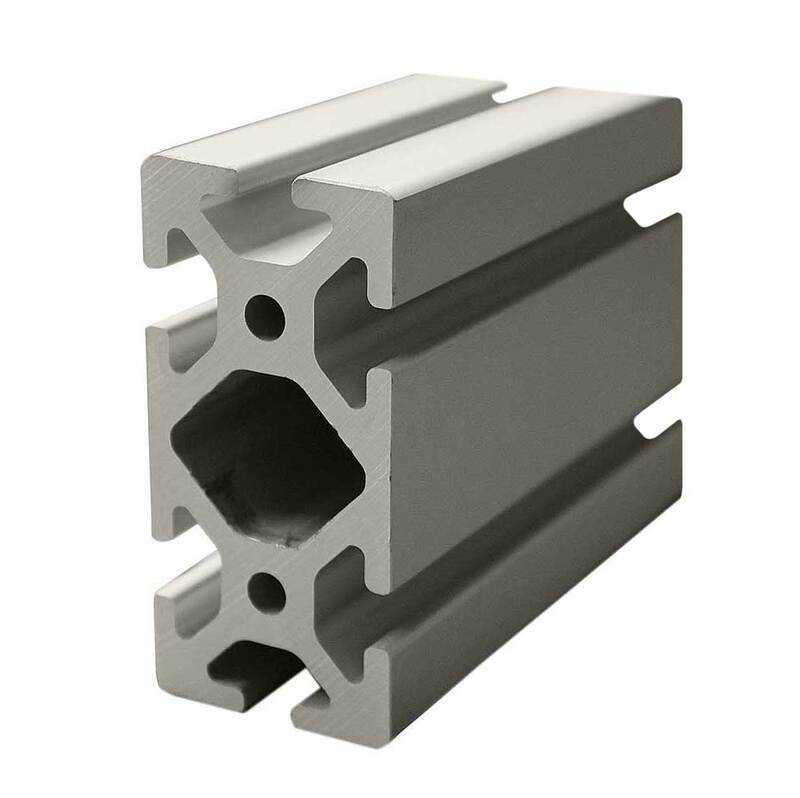 If you prefer SAE extrusions, we recommend you shop for the series 15 1530 (1.5″ X 3″). MACHINED EXTRUSIONS: We sell the 40 series, metric aluminum extrusions 40X80mm in 42 and 48 inch lengths. Numerous extrusions will work with our fence system, but ours is superior. No other extrusions are as flat and straight as the extrusions made from our proprietary die. Our extrusions are CNC machined on all four sides, quality control checked, and then anodized. MADE IN THE USA: This CNC’d and powder coated t-square is made in Rochester, Minnesota. 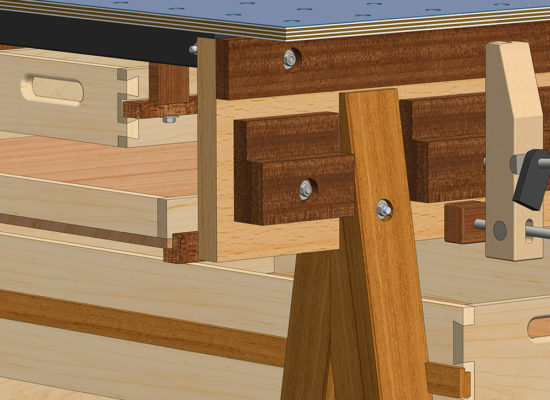 If you already have a Beisemeyer table saw railing system, this will work perfectly with what you already have. 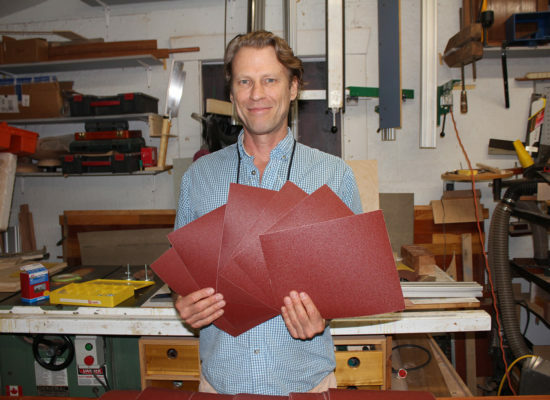 Having a second fence, especially one that is so versatile, will change how you work in your shop. SHIPPING DETAILS: When in stock, our VerySuperCool T-Square ships within 48 hours of payment from our Texas distribution center.